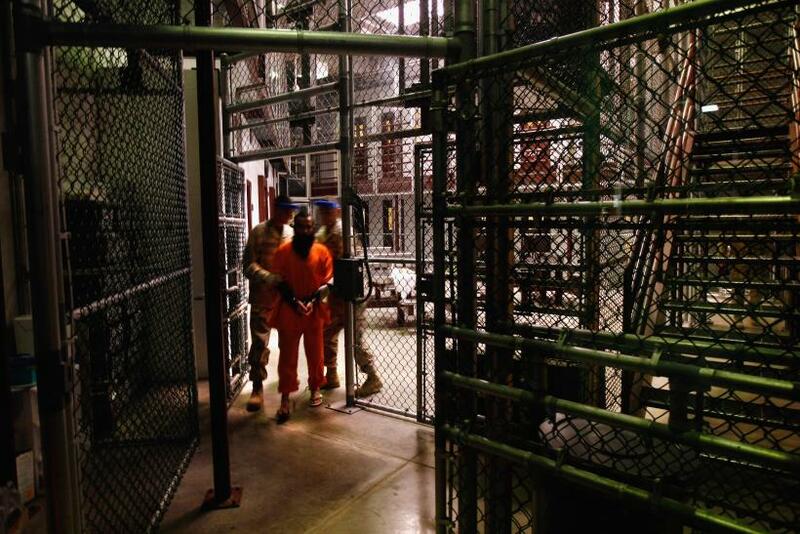 The U.S. is to free six detainees, held at the Guantanamo Bay prison facility for over 12 years, and send them for resettlement as refugees in Uruguay, according to reports. The six men, who were released Sunday, were detained on suspicion that they were militants linked to al-Qaeda, but were never charged with any offense, according to a report from the Associated Press. Uruguay's President Jose Mujica decided to accept the detainees on humanitarian grounds in March but the move was delayed until after Uruguay's elections, according to a BBC report. The men, four Syrians, a Tunisian and a Palestinian, were flown to the South American nation aboard a U.S. military plane. Their release reduces the total number of inmates at the controversial detention facility to 136, the lowest number since it opened, according to Reuters. President Obama came to power promising to close the facility, which was opened 2002, after the Bush administration commenced military action in Afghanistan in response to the 9/11 attacks. Obama's attempts to shutter the facility have faltered in the face of opposition from the U.S. Congress. This is a breaking story -- check back for further updates.